When I think about Gimli, I immediately conjure up an image of the Viking warrior statue standing tall at Viking Park. Next, I think of pickerel served with heaping portions of fries and long strolls along Lake Winnipeg after said heaping portions of fries. 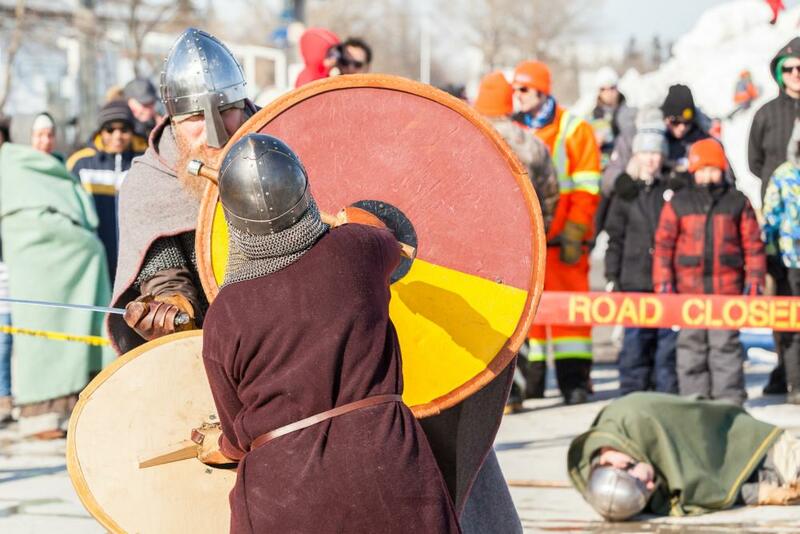 And of course, it just wouldn’t be right to go to Gimli without experiencing its harbour front and seawall, and depending on when you go, some intense Viking combat can add another dimension to this already pleasant mid-sized town. Yup! These are just a few of the things that the many-splendored Gimli has to serve up and that I very much enjoy…in the summertime. What I didn’t know and only discovered last weekend is that Gimli also offers many of these very experiences and more during the wintertime too. 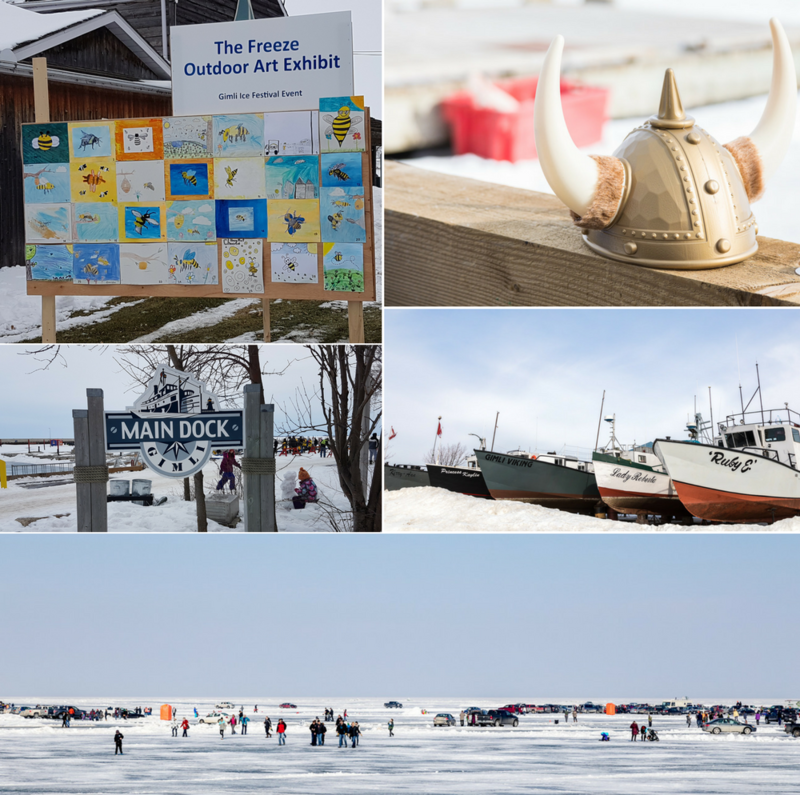 I got the chance to discover firsthand what winter in Gimli is like during the Gimli Ice Festival, a two-day event that is now in its 7th year. Here are eight activities that you and your family can look forward to come next year’s Ice Festival. 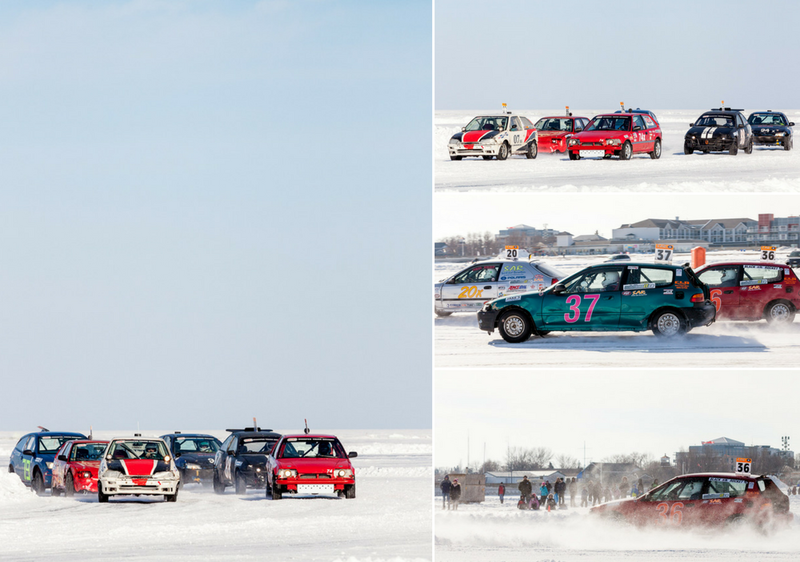 You’ll hear it before you see it, but just follow the sounds which will take you out on the frozen lake where the Fire on Ice Car Racing event takes place. These races will definitely get your adrenaline pumping as the drivers manoeuvre the slippery ice, making their way around the track. If you prefer motorcycles, the festival also features the ICE MAN Motorcycle Ice Racing Demo. 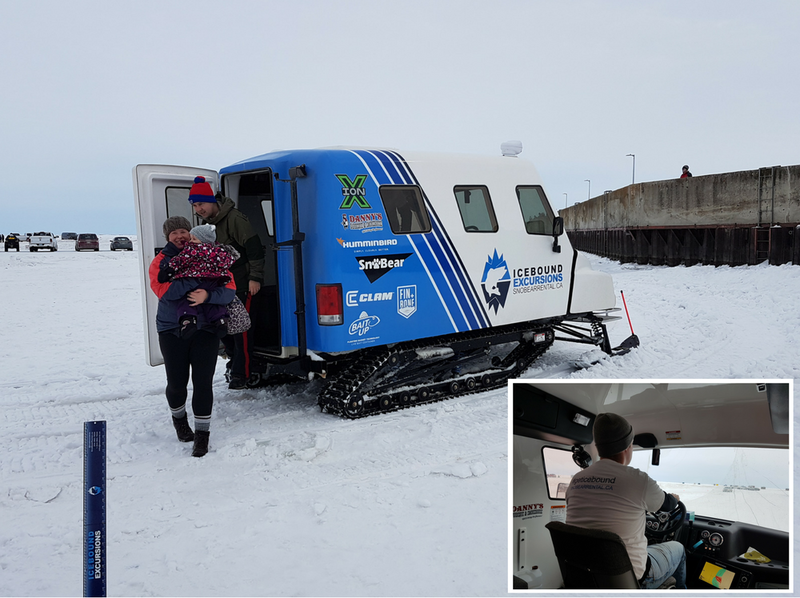 While the motorcycle and ice car racing take place a little closer to the shore, you can get right out into the middle of the frozen lake with ICEBOUND EXCURSIONS SnoBear Rides. ICEBOUND EXCURSIONS operator Mat Hobson takes those itching to get out onto the lake for a short but oh-so-fun ride, past the ice fishing shacks set up in the middle of the lake and back again to the shore where another eager bunch await their turn to get onboard. 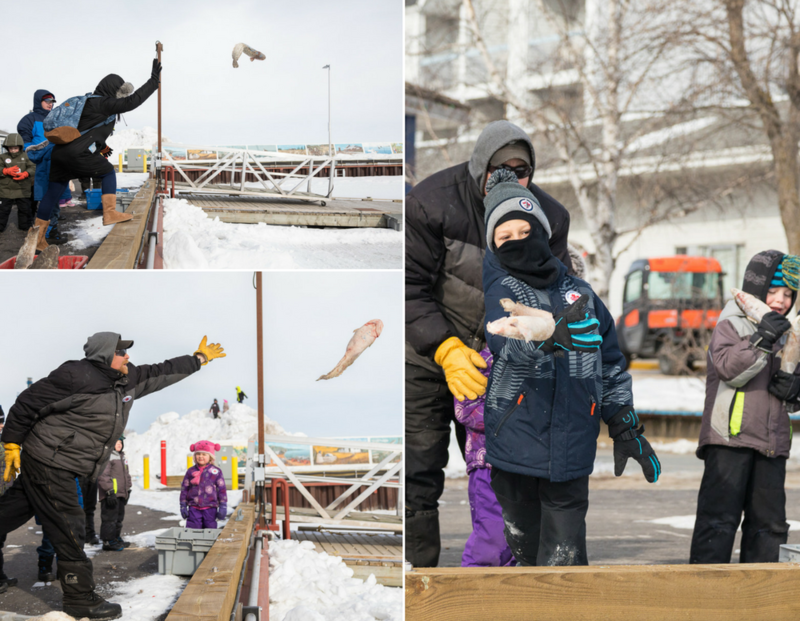 For the kids and the kids at heart, the Frozen Fish Toss is a popular event. The goal is simple: grab a frozen fish and aim for the target area. If you miss the first time, you have another chance. If you miss on your second try, then you have to earn your third attempt. How do you do this? Well by kissing the fish, of course. Once you’ve got over your initial hang ups about smooching a frozen fish, take another turn at the toss. Fishing can be fun for some and a test of patience for others. Kids tend to fall into the latter category. 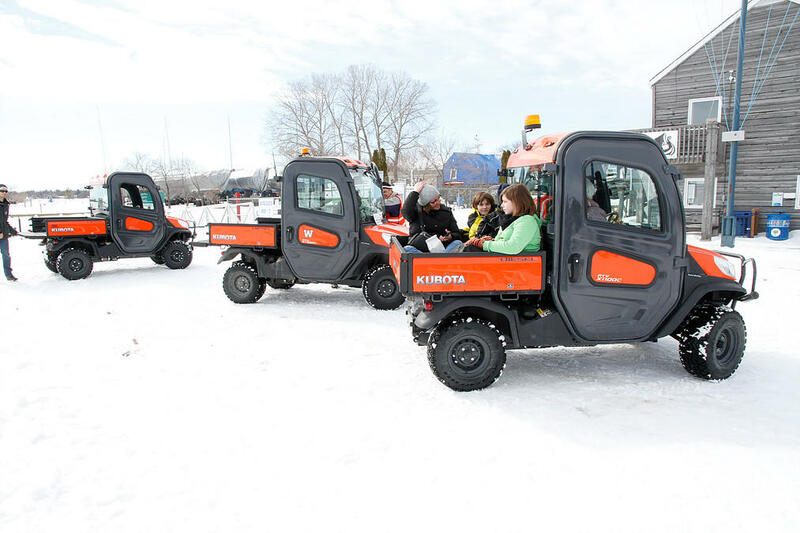 To get them ready for the slow build up, start with a Kubota ride to the Kids Fun-Time Ice Fishing location on the frozen lake where they can grab a rod, take a seat on a mini bucket, and jig their bait until the fish finally bite. Chances are, you aren’t a Viking and never will be. That’s OK, no one said you couldn’t dream. While you’re dreaming up what your suit of armour should look like, take in Live Viking Combat for some first-hand tips on how these warriors do battle. Tip: the war of words that happens before the actual battles is hilarious! The Ice Sled Team Race is certainly a test of strength and skill at navigating on the ice while pulling your teammates in a sled in a straight line. For this race, register at the festival headquarters and then get ready to pull your teammates from Point A to Point B across the ice. Once you get to Point B, jump into the sled. It’s now up to the next man…or woman to pull you back to the starting line. 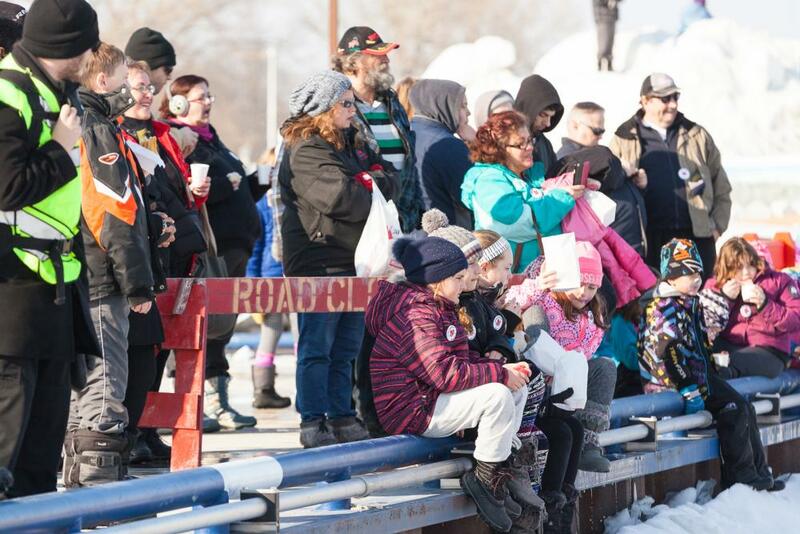 The Gimli Ice Festival presents the perfect opportunity to learn all about Icelandic heritage. 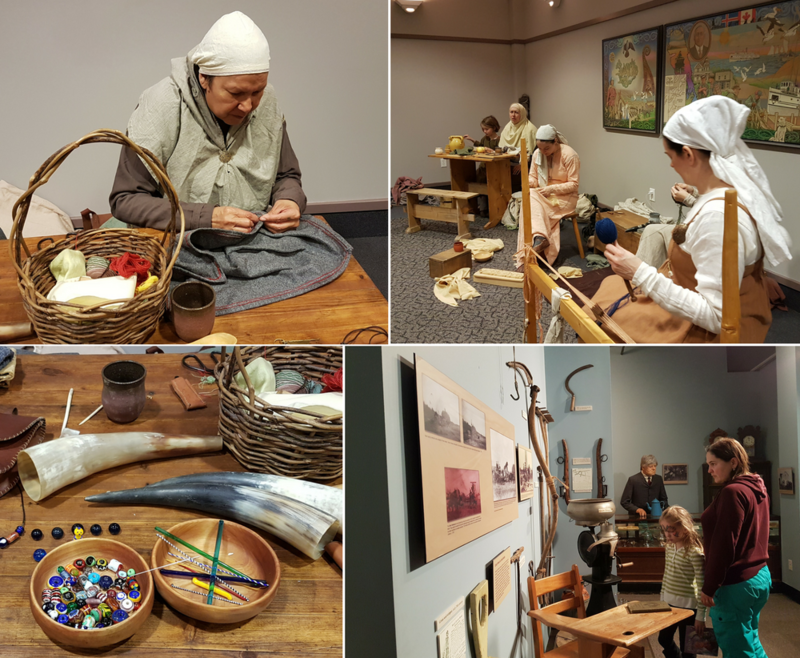 Head on over to New Iceland Heritage Museum where you’ll find the Viking Indoor Village Life Display. While you’re there, stop in with the kids for storytelling time. So there’s no denying that it’s a bit nippy outside this time of year. The organizers of the Gimli Ice Festival thought of that! Head to the central area just outside of the festival headquarters for the Bannock & Tea on Open Fire stop point. The bannock is fried in the open air as you stand looking on. Serve yourself with a helping of jam for your bannock and a cup of tea. 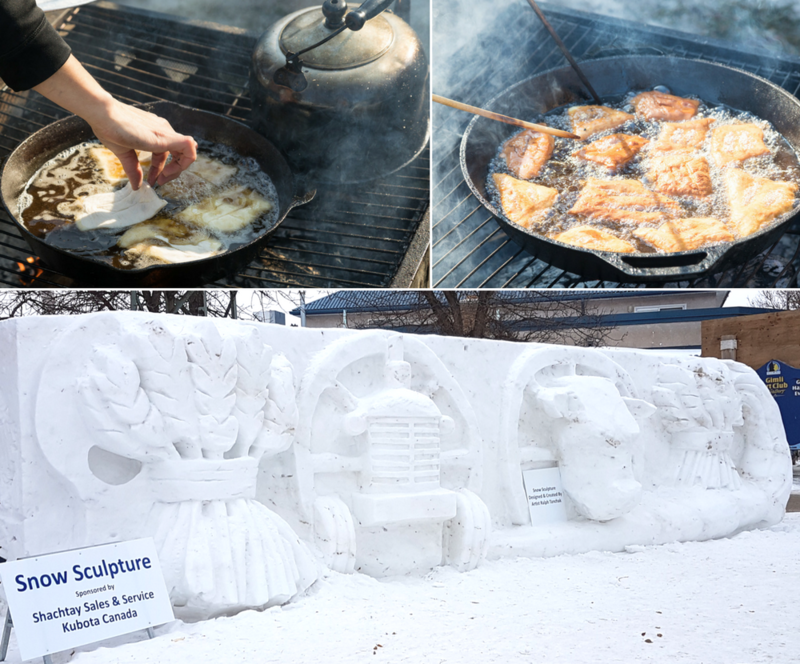 And while you’re there, stroll over to the snow and ice sculptures to see a few carvings of creativity on display.